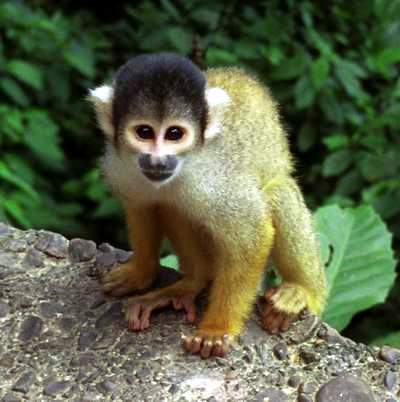 IT DOES NOT LOOK LIKE A MONKEY! what's with it!? 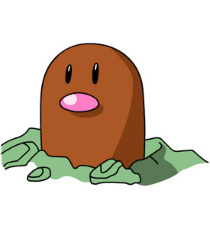 it looks like a diglet!! there only good as rings! nah, not the vamps. then again, they could count too......In the movie, Bella kind of looked at Edward like, "woah. I could skin you and sell you on e-bay....."
Thad't be funny. A male sparkle. *blows up in laughter* I'm just waiting for peeps to call Kelsay a Sparkle-dog so I can blow-up at them. The's a unique(sp?) animal. Sparkle-dogs are all... bleh. They're so 'nice', goody-goody, people call them kitsunes and foxes-which are the EXACT same thing-so they're mostly fox, and they're part rainbow, they have extremely long, rainbow, and gross hair, they're all pink and rainbow, and they wear WAY too many accesories. over-all, they're an insult to dogs everywhere, while unique animals usually have unnatural coloring, WHICH KELSAY DOESN'T, SOMETIMES a small amount of hair, and unnaturall markings(usually in unnatural coloring. They also (usually) have unnatural-colored tounges and paw-pads. no, but people feel sorry for sparkles and their FAKE! F-A-K-E-! FAKE! CLIPART C-L-I-P-A-R-T! dang you sparkle shunners.. not you golds... the sparkle shunners are different... let me make my point straighter. let's say I make a sparkle dog. People hate her because she's rainbowy. well, she's born like that, so people are "bullying" the very image of sparkle dogs (plus their FAKE). besides, sparkle dog is just a name, and you could say foxes are part of a dog family. sparkle dog-family.... it works... now. I give my sparkle dog an I pod, a bandanna, a hat, a stuffed animal, and a cell phone. people will be all weird about it because she has "too many". But, let me ask you... you own more than that, correct? so why can't she/he? besides, again, it's fake. They are rather fun to make and laugh at how silly they are, and you know it people!